Welcome to India! On arrival you will be transferred and assisted till your room in your hotel. Remaining day at leisure. Early morning after taking breakfast city tour of the city Raj Ghat, Shanti Vana, Jama Masjid, Red Fort, Lahore Gate, Qutub Minar, Bahai Temple, Purana Quil and India Gate. Drive to Fort Kesroli - a hotel of great character located a small distance from Alwar. After checking in keep the day at leisure. After visiting the palace of Alwar, drive to Sariska Tiger Reserve and check in Hotel Sariska Palace. While the day here will be spent in wilderness, evening will be alive with campfire and folk music. Sariska wildlife Sanctuary is part of the Project Tiger. The Sanctuary extends over an area of 800 sq. kms, and has a wide spectrum and rich population of wildlife. A rich avifauna of more than 200 species of birds, which includes Babbler (Common, Jungle & Large Grey). Black/Red Headed Bunting. Little Brown Dove, Crested Serpent Eagle, Pale Harrier, Gray Hombill, White Breasted Kingfisher, Small Minivet, Golden Oriole, Great Gray Shrike, Tailor Bird, Wryneck Woodpecker and many more, makes it an ideal place for bird watching. Drive deep in the jungles on jeep to discover a good range of wildlife including the Tiger. After arrival at Jaipur, take a city sightseeing tour. In the evening walk through many interesting lanes of Jaipur, which are full of shops of artisans, temples and traditional houses. The capital city of the state of Rajasthan is popularly known as the ‘pink city’ because of the pink paint applied to the buildings in its old walled city. the city tour of old city, Hawa Mahal, Jantar Mantar, City Palace, and Ambar Fort and more. After reaching Sawai Madhopur, take a jungle safari on jeeps to see the rare Indian tigers in full glory at the Ranthambhore National Park. After another jungle safari during early morning hours, the day till noon kept free at leisure. After lunch drive straight to Bharatpur and on arrival check in. Morning & evening walk in the Bharatpur bird sanctuary for Birding. Early morning, have a completely rewarding experience of seeing an overwhelming range of birds during the rickshaw trip into the Keoladeo Ghana National Park. During the day take an excursion to Deeg to see the elaborate water palaces built by Raja Surajmal Jat. Before sunset you may visit the National Park once again. Driving towards Agra visit the abandoned town Fatehpur Sikri. 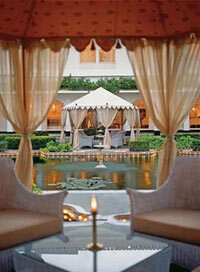 In the evening to visit the Taj Mahal overnight stay in the hotel. Early morning to city sight seeing tour of the city. and then to enrout visit the Sikander Tomb and then drive to Delhi. Late night departure to airport . The tour end.